September 12, 2012 - WESTBURY, NY VasoMedical, Inc. (“VasoMedical”) (OTC: VASO.QB), a global leader in the manufacture and sale of devices for the non-invasive treatment and management of cardiovascular diseases and a leader in the sale of diagnostic imaging products, reported today that its participation at the 34th European Society of Cardiology (“ESC”) Congress drew significant interest among the many healthcare professionals in attendance. 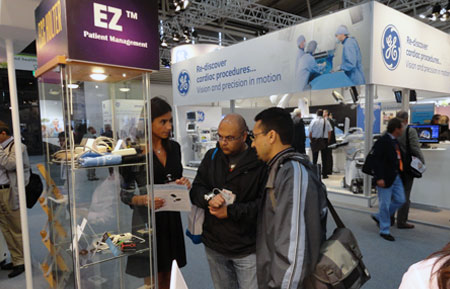 The ESC Congress serves as a forum for the latest research in cardiovascular diseases and is the largest meeting of cardiologists in Europe. 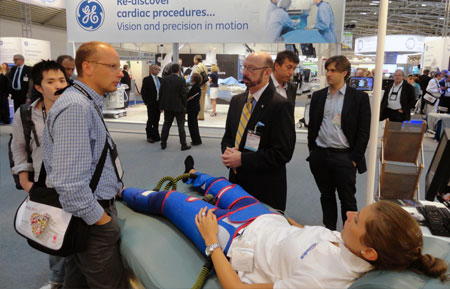 This year’s meeting was held in Munich, Germany from August 25th to 28th, and attracted over 25,000 attendees from all over the world. 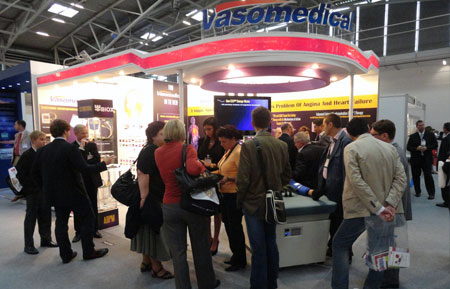 VasoMedical performed live demonstrations of its LumenairTM EECP® Therapy system in the exhibition hall at the event. 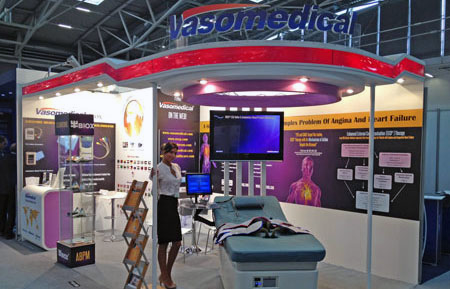 Also displayed and demonstrated were VasoMedical’s other technologies, including its unique and easy to use BIOXTM ECG Holter and Ambulatory Blood Pressure Monitoring products, as well as its EZTH series Patient Management products. 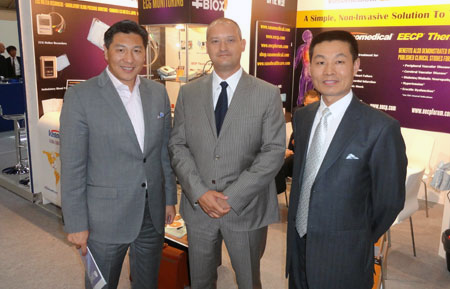 There was excellent attendance at the booth, and VasoMedical personnel had an opportunity during the four day period to meet with many of its current customers, interested physicians, government officials and other healthcare professionals, distributors and consultants. Please watch for announcements and updates regarding these and future events on the VasoMedical website, and follow the Company on social networks such as Facebook, Twitter, and LinkedIn.